OTTAWA – After a tough few weeks for NDP Leader Jagmeet Singh, his predecessor Tom Mulcair is offering him some advice: get a seat in Parliament as soon as possible. "Parliament is very important as an institution and it's important for a political leader to get in there as soon as possible so that Canadians can get to know him," Mulcair said on CTV's Question Period. Singh has been dealing with caucus dissatisfaction over the last few weeks, most recently over his decision to discipline a long-time MP for dissenting with the party on a vote. After fellow NDP MPs publicly criticized their leader, Singh walked back the punishment. This followed members’ criticism for his level of condemnation of extremists within the Sikh separatist community. Despite this, Singh has vowed he helms a unified caucus. Asked about how he thinks his replacement has been doing, Mulcair said that while the New Democrat caucus is happy to have a "bright" new leader, they’d like to see him around more. "People have been saying, 'Show up with caucus more.' I’ve always understood that the seed of your power as a leader is the caucus," Mulcair said. "What we’re hearing from caucus, and what people have been saying publicly is, ‘We want to get to know him better." Singh, who sat as an Ontario NDP MPP for several years, has no federal experience. Without a seat in the Commons he is unable to question Prime Minister Justin Trudeau during question period the way Conservative Leader Andrew Scheer does. Singh, though, does attend the weekly national caucus meetings in Ottawa and routinely addresses the media afterwards. 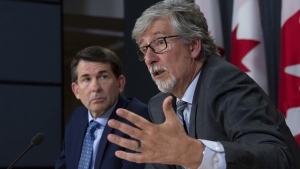 "He doesn’t know the Parliament very well yet, he’s not sitting in Parliament," said Mulcair, who added he has already given the advice of running for a seat, to his successor. Singh has maintained since winning the leadership race in October, that he’s perfectly happy to not have a seat in the House of Commons. He has said this provides him more time to outreach with people across the country. Though, Mulcair argues the best place to have people get to know you and to raise your profile, is from the national stage of Parliament Hill. There is currently just one vacant seat in the House of Commons, in Quebec. But during a previous interview on CTV’s Question Period, Singh has said he’s eyeing Ontario’s Brampton East seat currently held by Liberal MP Raj Grewal. Singh has said he'd want to run in a riding where he has roots, and Brampton is the city where Singh started his political career. 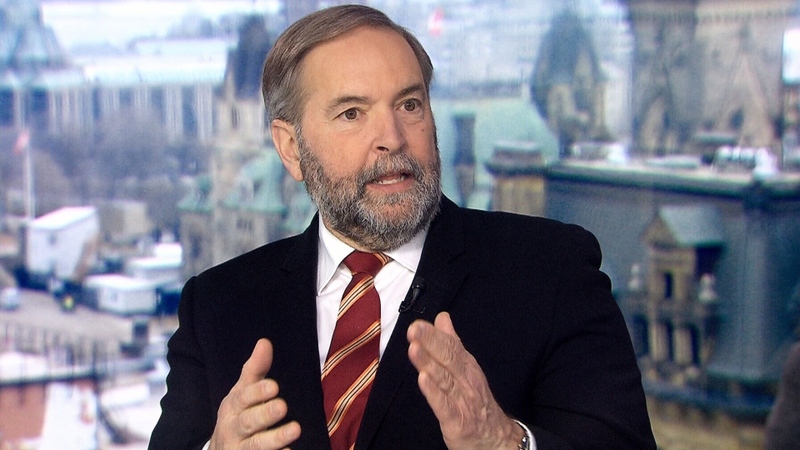 Former NDP leader Tom Mulcair on CTV's Question Period.